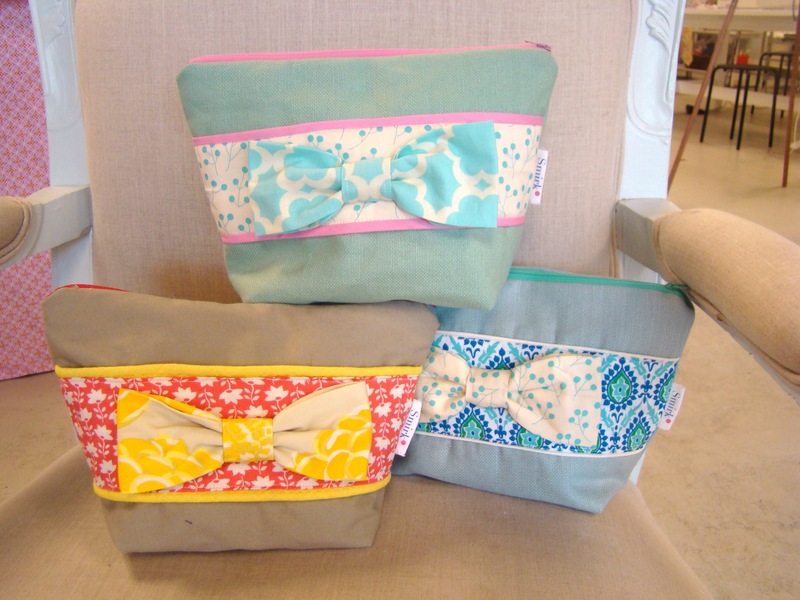 If you’ve looked at some of the recent blog posts there has been a small bow obsession going on. 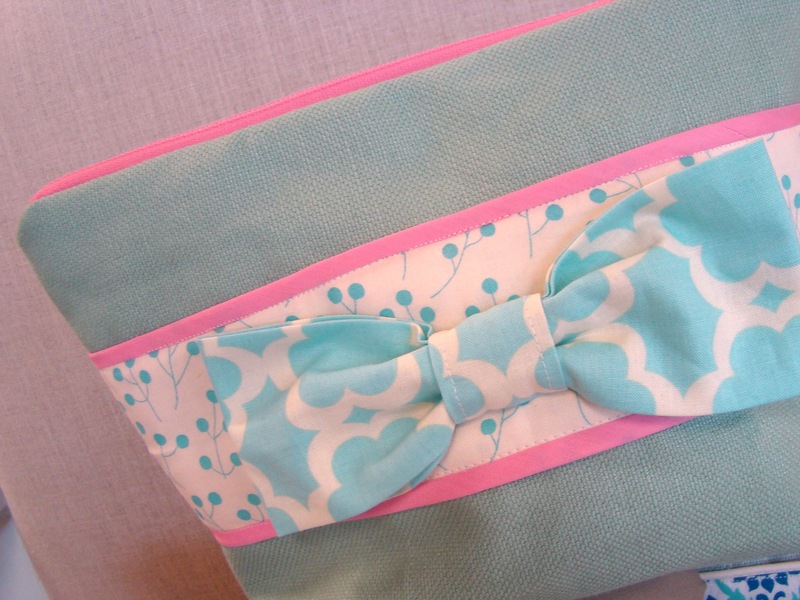 So I took one of my favorite over-sized pouches and dressed it up with an X-tra large bow. The result is a fun bag that can be used for traveling, over nights and also a handy baby pouch to hold diapers, wipes and a bottle. Ooops, there I go turning everything back to babies again.